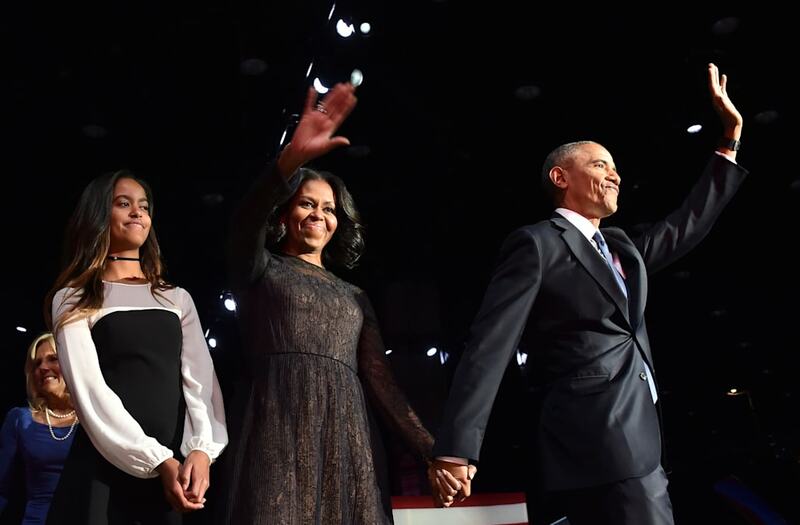 President Obama delivered his farewell speech in Chicago on Tuesday, January 10 -- and as always, Michelle Obama was front row in the crowd, supporting him and cheering him on. Their daughter Malia was also in attendance (we don't know about you, but she really got the waterworks going for us), but Sasha was noticeably absent. Near the end of his address to the nation, the president gave his family a teary-eyed "thank you," sweetly referring to Michelle as his "best friend." As always, when the camera panned to Michelle, we couldn't help but notice her impeccable style. This time, she was donning a stunning, navy Jason Wu dress -- and we'd be remiss if we didn't note the nostalgic significance behind it. 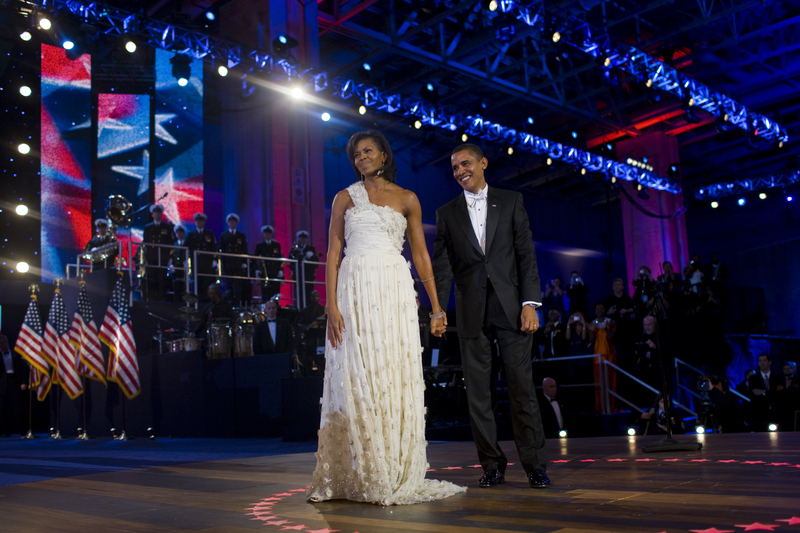 If you recall, Michelle has opted for the designer several times throughout her time as FLOTUS, but most noticeably at both Inauguration Balls in 2009 and 2013, arguably making Jason Wu a household name. It's safe to say we'll be watching Michelle's style long after she leaves the White House.